Looking for a fast german coupe? Motor Trend has just pitted the new Audi RS5 against Mercedes-AMG's C63 S Coupe in its latest video review. With Audi replacing the naturally-aspirated V8 for a smaller twin-turbo 2.9-litre V6 in its RS5, would it be a better drive than its predecessor? 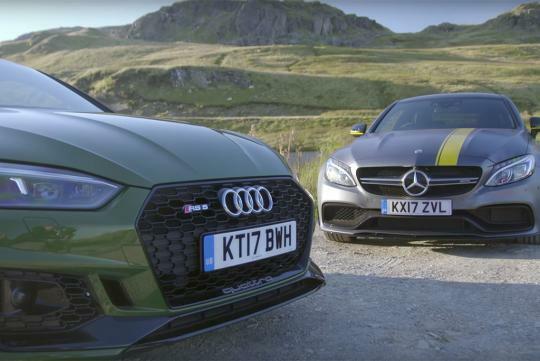 Or will the grunty C63 S with its immense power and soundtrack manage to persuade both Jonny Lieberman and Jethro Bovingdon as the better car between the two? Watch the video and find out for yourself! 2.9V6 and 4.0V8... I think the Audi performed well.